NASA continues to be a leader in the funding and development of cutting-edge aviation technology. Their latest investment is in the advancement of aviation technology that will reduce carbon emissions through more efficient fuel use. NASA’s goal is aggressive. They hope to reduce commercial aircraft emissions and noise by 50% or more. 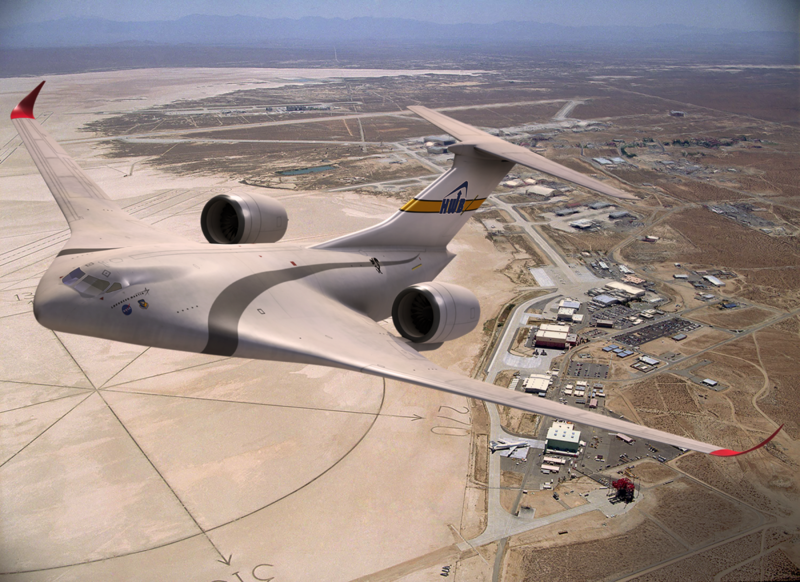 Achieving this goal requires a lot of aviation expertise and innovation, which is why NASA awarded six-month contracts to Aurora Flight Services Corporation, Dzyne Technologies Incorporation, Lockheed Martin, and The Boeing Company to develop an approach, timeline, and budget for the development of a large-scale subsonic X-plane concept. The experimental aircraft selected in this process is expected to take to the skies by 2021. Each company will be working on a different prototype. Aurora Flight Services is creating an aircraft made largely of lighter composite materials with jet engines mounted in the tail area, which should improve efficiency and reduce noise. Dzyne Technologies will be working on an aircraft with a nearly seamless wing and tube design that will increase lift while reducing drag. Lockheed is developing a Hybrid Wing Body project, a more conventional but still streamlined design that should increase lift and reduce drag as well. Finally, Boeing’s BWB concept aircraft – which has already been flight tested – and its Truss-Braced Wing concept are getting more funding as well. These efforts are a continuation of NASA’s policy of working toward a greener future in aviation. It has also been collaborating with airlines to reduce airline emissions through the use of new technologies that will efficiently streamline operational schedules. Reducing the times that aircraft wait on the runway during arrival and departure could result in huge drops in overall emissions.